The Vanarama National League North season gets underway this weekend and promises to be one of the most competitive. With one automatic promotion spot and six play-off places to compete for, the battle to finish in the top seven could go down to the wire, writes Tom Feaheny. With so many clubs realistically aiming to go up, it is difficult to know where to start but let's begin by looking at the three teams who competed in the play-offs, but did not end up promoted. Chorley narrowly missed out last campaign as they lost in the promotion final at Halifax Town, manager Matt Jansen has since signed a new contract and the club will be hoping they can go one better. The side they defeated in the semi-finals was Kidderminster Harriers. With the two teams meeting on the opening day, John Eustace has seen his defence almost completely altered from their last game of the season. Those players have been replaced and midfielder Elton Ngwatala is now staying, when he seemed set for a move to a Football League team, which is a big boost for the Harriers. The other team who competed in those play-offs were Salford City, who enter their first season as a full-time club. Liam Hogan and Carl Piergianni will bring steel to their defence and the ambitions are high for the Ammies. An all-ticket clash is their first game as they face Darlington, who did finish in the top five places last time around, but were not able to compete in them. The Quakers have kept a majority of their squad from the previous campaign. The North-East are even more represented in this league with two coming up from the Evo-Stik Northern Premier. Blyth Spartans will be hoping Dan Maguire can continue his fine goal scoring form from last season, with Luke Armstrong leaving the club for Middlesborough. Dale Hopson who impressed at Whitby Town will be expected to chip in with goals as well after joining. It has been an incredible rise for Spennymoor Town and their manager Jason Ainsley. Promotions have been the order of the day for the past few seasons for this club, with a winning mentality installed. Ryan Hall and Matty Dixon are two new recruits for the side. The team who will travel to Town on the opening day is Stockport County. They missed out on a play-off place on the last day of the season, with Jim Gannon hoping they can go one better and reach those top seven places, knowing that their fan base are hoping they can go up. Last season they broke the Vanarama National League North attendance record with 5,630 at Edgeley Park for the game against FC United of Manchester. Karl Marginson has seen a high turn over of players but will be hoping the additions of Callum Nicholas, who was a former Manchester United academy attacking midfielder alongside Marcus Rashford and Cameron Borthwick-Jackson, and Lloyd Allinson who has joined from Chesterfield will help the club finish higher than 13th, which is where they finished last season. A new season means new managers, with AFC Telford United bringing in ex-Wolves player and coach Rob Edwards, who believes pre-season has been positive and they are ready to hit the ground running. Meanwhile Alfreton Town have had one of the busiest summers. A new boss in John McDermott along with 16 players coming in means there has been plenty of change. Ex-Histon and Forest Green Rovers boss Alan Lewer has been brought in at Southport, who were relegated from the National League last season. New signings for the Sandgrounders include Steven Schumacher. Another side who were relegated to the division from last season are the 2017 FA Trophy winners York City, who have been able to keep a majority of their squad that narrowly went down last season. Their form from January would have seen them as a mid-table side in the National League so there is plenty of optimism they can go back up at the first attempt. After missing out on promotion two seasons ago Boston United experienced a transition campaign with a 15th placed finish. Adam Murray has this summer put a squad together that can compete for one of the top seven places. Brackley Town finished last season in 7th, if they do that again they will have made the play-off places, but boss Kevin Wilkin will be hoping they can finish higher. New signings, striker Andy Brown, defender Connor Franklin, goalkeeper Danny Lewis and midfielder Jack Byrne have all joined and have the experience of going up from this league. 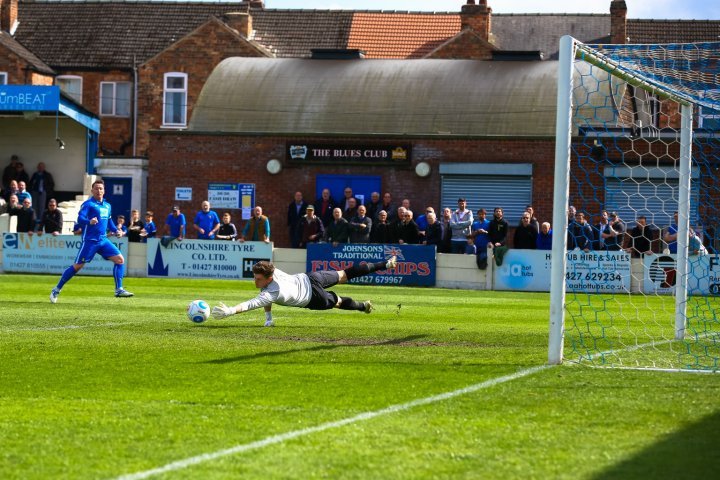 Gainsborough Trinity stayed up on the last day of the season with boss Dave Frecklington having some difficult decisions to make as he gets the squad ready. He has signed a new two-year deal and believes pre-season has left them well placed. On the opening day they face Leamington, who are back in the National League North after a few seasons away, with their manager Paul Holleran wanting lessons to have been learnt from their time in the division before, as they aim for a successful season. 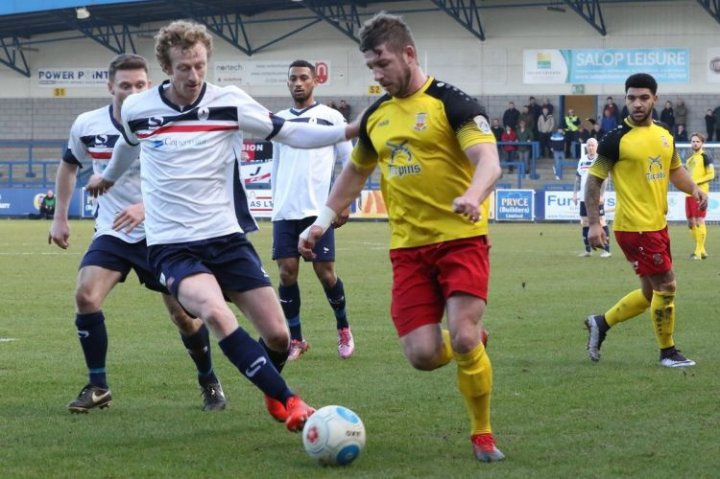 Bradford Park Avenue start their campaign with boss Mark Bower bringing in a number of players he knows well, with the likes of Adam Boyes and Steven Drench, who played a key part in Guiseley gaining promotion during the 2014/15 season. One boss who knows how competitive this league will be is Tamworth's Andy Morrell. He believe that 15 teams have a realistic chance of going up. They were just five points off a play-off place the last time around. 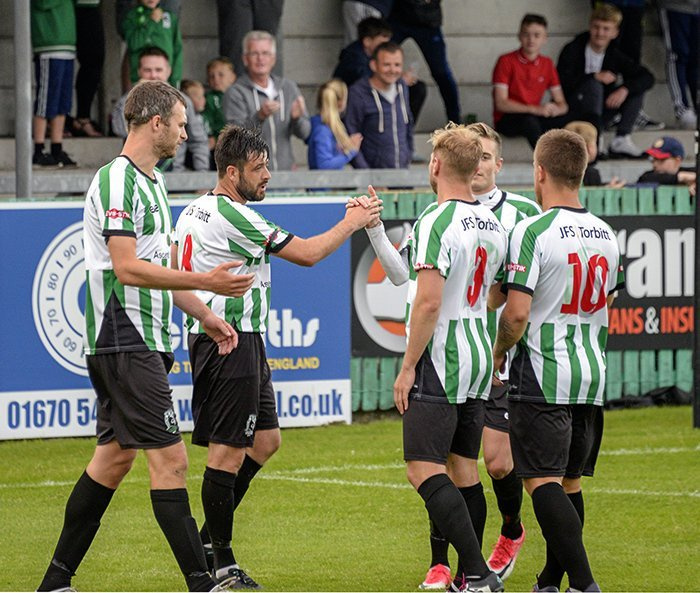 The last of the teams who are in this division after not being in the league last season are North Ferriby United , who were away from the National League North for just a season after being relegated. Steve Housham's side gained credit for their campaign in the National League, but have seen another set of players leave, with more rebuilding taking place. Housham is now pleased with the squad he has and will be hoping they can gain the credit they did last time. Curzon Ashton finished 14th last time out. Manager John Flanagan will be hoping they can do well in the league and possibly go on an FA Cup run like last season when they got to the second round, and nearly beat AFC Wimbledon live on BT Sport. Another team who are full-time this season is Harrogate Town and Simon Weaver has been able to bring in a host of talent including Josh Falkingham, who will also be their under 21s manager. And last but by no means least, Nuneaton Town travel to the CNG Stadium on Saturday, with a new assistant manager for Tommy Wright in Jon Ashton, who is local to the area taking the role. Both sides finished in mid-table but will be aiming higher for the season. Upbeat McQuilkin: Harriers Ready For Chorley Test  After facing a number of Championship and Premier League sides during pre-season, James McQuilkin says they have felt the benefits of it as the big kick-off is on the horizon.